At the moment we have six different working groups. Suggestions for new working groups are always welcome. If you would like to join one of the groups, please get in contact with us. Our working groups are topic or country specific groups. They provide an opportunity for our members with similar interests to discuss, lobby, promote and explore particular these areas. The working group Plasma & Education organises industrial placements, on-the-job training, advanced training and events for employees and as well as students like summer schools and workshops. 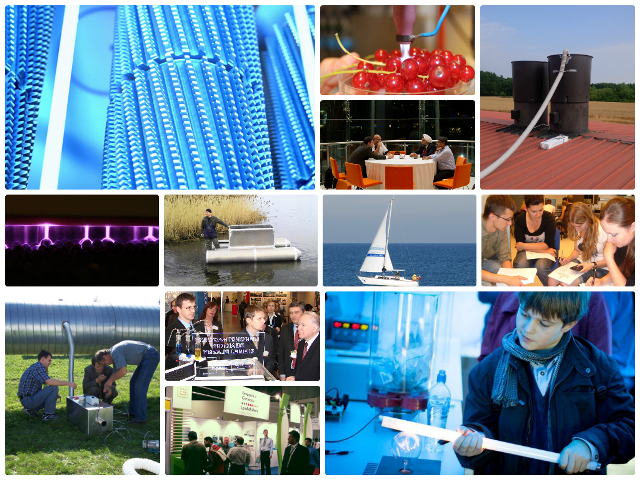 All activities to increase the visibility of plasma technology and the growth of the BalticNet-PlasmaTec cluster are bundled in the working group Plasma & Marketing. Main goal of the working group Plasma & Russia is to initiate cooperation between Russian partners and other members of the cluster. The Plasma & Surfaces working group concentrate on e.g. activation, cleaning, coating, etching etc. on functional surfaces. The working group Plasma & Environment focuses on plasma application for environment protection. The main topics are: exhaust gas and air cleaning, especially the reduction of volatile organic compounds (VOC) and the NOx and SOx reduction; water cleaning using plasma based advanced oxidation processes (PbAOP); waste to energy conversion including energy storage and substitution of wet chemistry for coatings.